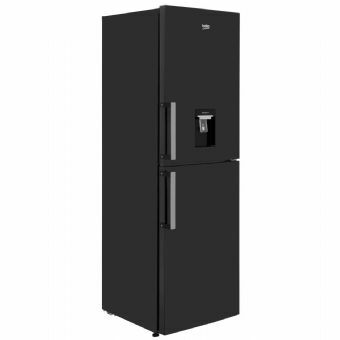 This Beko fridge freezer has plenty of space to store both your chilled and frozen food. If you’ve just done the big shop, you’ll be able to store 10 shopping bags of food in the fridge and 7 bags of food inside the freezer. Take advantage of the water dispenser handily located on the front of the appliance and enjoy cold drinks on tap. The slimline design of the appliance means it takes up less space in your kitchen, without losing out on storage capacity. And, the freezer is completely frost free so you don’t need to spend time defrosting again.